Welcome to the home page of your local Labour Party and the three elected Labour Councillors who have served this community since the 2014 Lambeth Council local elections. 2014 was the first time in 24 years that our area elected three Labour Councillors. 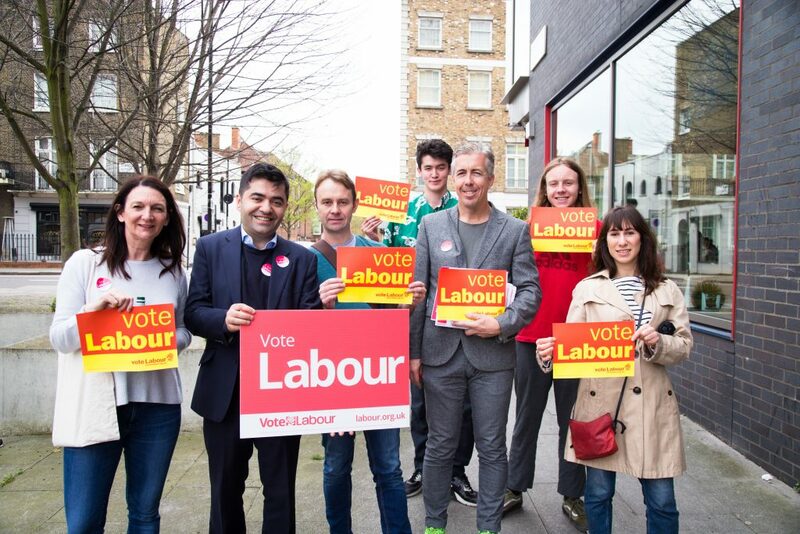 Please use your vote on Thursday May 3rd 2018 and use this website to find out more about our work, how we have delivered for our area, and about Labour’s vision for Bishop’s Ward and Lambeth. Fairness and opportunities for all are what drives us. We are very honoured to have already received the support of hundreds of local people and to also be endorsed by Kate Hoey, Member of Parliament for Vauxhall since 1989. Although we had differing views on the EU referendum we are very pleased to have her support for our record of work in the local community. Unlike our political opponents locally, we prefer to campaign positively. Rather than run down others, we point to what we have done and we ask to be judged on that. "Jennie and Kevin are tireless and committed community campaigners. I am pleased to give my full support to them. In these local elections I ask you to think about who will be your best and most effective representatives on Lambeth Council. They are really keen to make this area an even better place to live and they are a great team. Ibrahim is the third member of the team.He lives locally and I know he will work with Jennie and Kevin to stand up for you and our area.